Fancy a change of lifestyle…? Live The Dream – Make The Ocean Your Office !! How do you get to work ? Imagine a job where you actually look forward to work. Lead a life others fantasise about. Sailing into incredible sunsets could be the rule not the exception. The commute to work could be as easy as a ten minute boat ride or a stroll down the beach. Work becomes an adventure in itself. While experiencing new cultures and lifestyles, you’ll be surrounded by people who are always happy. When you take people diving all day, everyone’s happy. It’s not all fun and games in paradise, but the rewards are well worth the effort. 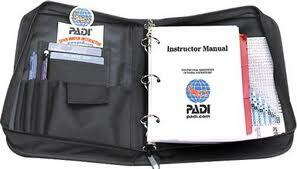 The first step is the PADI Open Water Diver course. This is the most widely recognized and respected rating in the world and on attaining it you have the freedom to dive with a buddy independent of a professional. After completing five more adventure dives you achieve the PADI Advanced Open Water Diver rating which will give you more experience, make you feel more comfortable in the water and let you enjoy your diving even more. The Emergency First Response Primary & Secondary Care courses are pre-requisites for the PADI Rescue Diver course but more importantly gives you basic life saving and first aid skills that could be beneficial in everyday life. The PADI Rescue Diver course is both rewarding and fun. Rescue Divers learn to look beyond themselves and consider the well-being and safety of others. Although serious, this course is an enjoyable way to build your confidence. The PADI Divemaster course is your first step on the professional ladder. Working closely with instructors you will expand your dive knowledge and hone your skills as well as developing your leadership abilities by learning to supervise dive activities and to assist instructors with student divers. The first portion of the PADI Instructor Development Course (IDC) is the PADI Assistant Instructor course where you’ll gain additional experience as a PADI professional and start to learn the PADI system of diver education. Continuing with the IDC leads you into the PADI Open Water Scuba Instructor program which is your final step in the quest to become a PADI Instructor. The PADI Open Water Scuba Instructor rating earns respect from both students and peers and sets you apart from the crowd. Go Pro In Paradise ! !